Brisbane man Hudson had a surprise when he got home and saw toilet roll strewn across his kitchen floor with a furry culprit to blame. 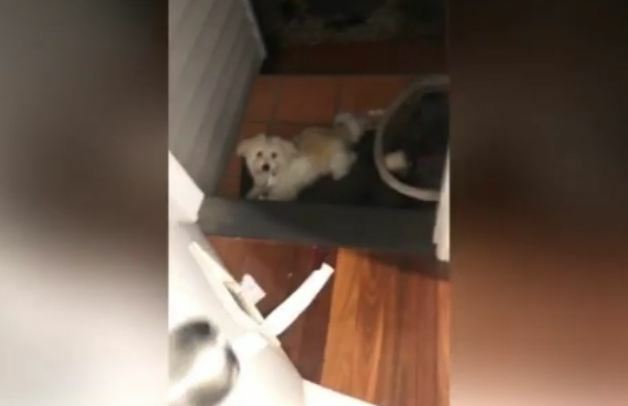 Video of the papery mess, filmed on March 30 in Brisbane, Australia, shows the moment Hudson discovered his dog playing with a length of toilet roll after spooling it out into the garden. Hudson walks up to the back door, unlocks it, and spots a very guilty-looking pup with bits of paper sticking out of his mouth.